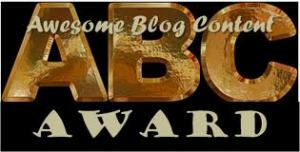 To accept the ABC award, nominees are supposed to use the alphabet to describe themselves and then give the award to six deserving bloggers. 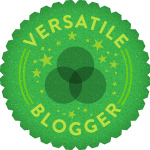 You deserve all the awards – your blog is great! Thank you Ania, and congrats on your awards! So nice of you to include me in such wonderful company. Hey Ania! Thanks for the nomination! I really appreciate it.